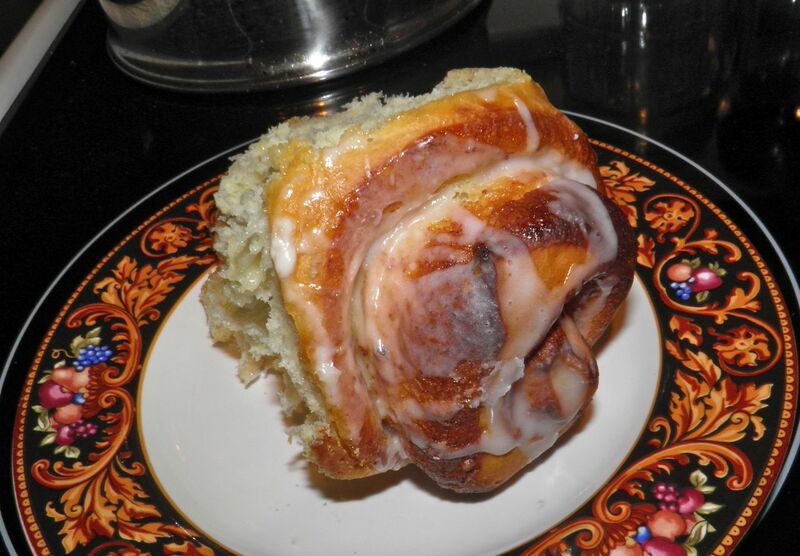 There’s nothing like a good old-fashioned warm cinnamon bun. They announce their presence the moment you enter the house. Nine very large fluffy rolls. They’re a childhood memory that many of us share. 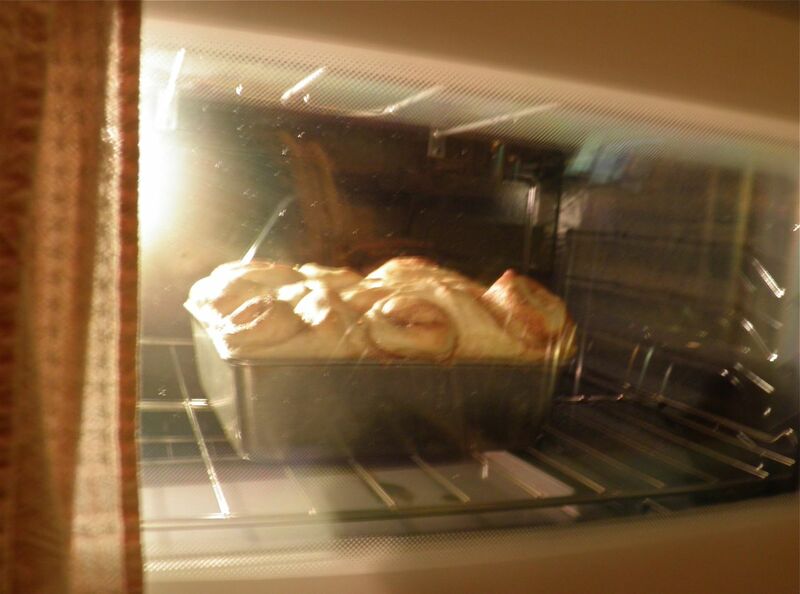 I wanted to resurrect this memory so I took my dough hints for a 1959 recipe. It was from the sweet rolls found in A Guide to Good Cooking with Five Roses Flour. Always a reliable source for old-style recipes. Here’s a little known fact on this side of the Atlantic. 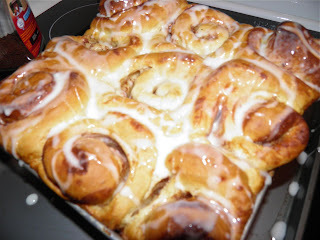 October 4 is Kanelbullens Dag (National Cinnamon Bun Day) in Sweden. Instituted in 1999 by the Home Baking Council it was a way to stimulate tourism to the country. It is now a well recognized tradition, even though it's only 13 years old. 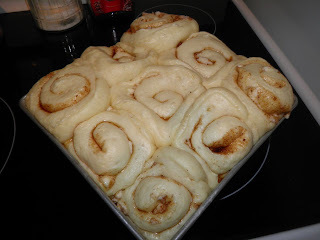 One difference from what North Americans call cinnamon rolls is that the Swedes often put cardamom in the dough, much like I did for my Cardamom buns (recipe here). The ingredients in cinnamon buns have all been around for many, many years, reaching back past recorded history. When they may have all come together I cannot find. But one source says cinnamon buns may be a descendant of ancient galettes or medieval fritters. One thing is known. The final ingredient needed to make a cinnamon bun – cinnamon – wasn’t available to European cooks until after Marco Polo’s expeditions and resulting spice trade. This was in the latter half of the 13th century. Although I am a fan of cream cheese the frosting on these buns is a standard icing sugar glaze. I wanted to keep this recipe fairly true to the old-fashioned variety. The buns are not small. In fact, they are rather large. That’s the way I like them. I hope you do too. Ready to be rolled and cut. Proof the yeast in the warm water until frothy, about 10-15 minutes. Add the eggs, butter, sugar and salt and stir well. Mix in the flour and then bring together with your hands in the bowl. 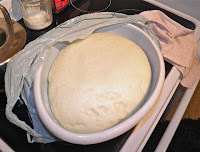 Transfer to a flat surface and knead. 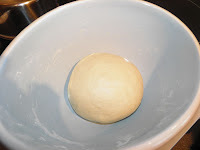 The dough will be a little sticky at first but will loose that as it is kneaded. Only add enough flour as is necessary to do so. Knead the dough until smooth, about 5-10 minutes. Under-kneading will not activate the elasticity in the flour. 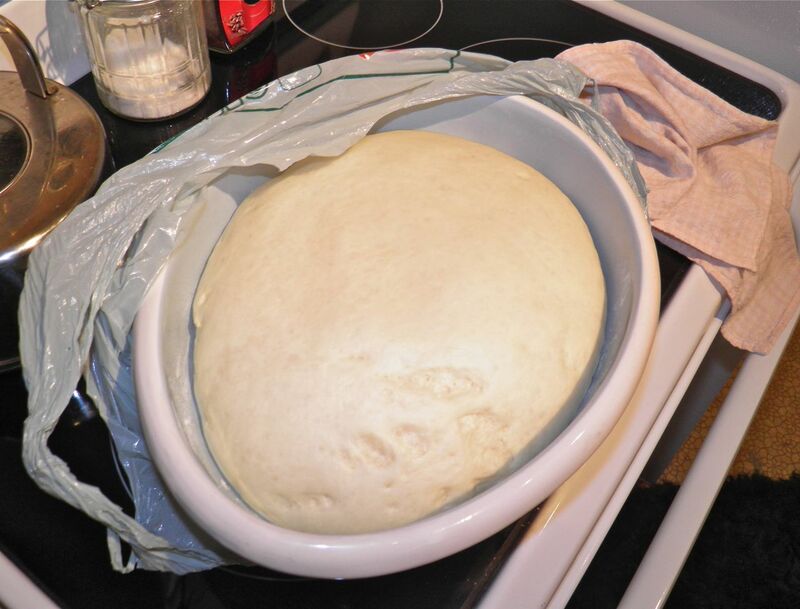 Transfer the dough back to the bowl, cover with plastic wrap and a towel and let rise until double in bulk, about 2 hours. 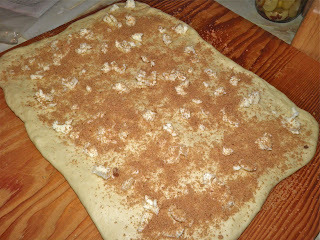 Once the dough has risen, punch the dough down and roll it out into a rectangle about 12” wide by 16” long. Mix together the cinnamon and sugar in a small bowl. Spread the softened butter over the surface and then dust with the cinnamon sugar. Roll up the dough so you have a roll 16” long. Cut evenly into 9 pieces. Generously butter a 9” by 9” tall sided pan. Arrange the cut rolls in three rows of three. Place the pan in a warm place with a piece of plastic on top and let rise again until doubled in bulk, about another hour. Preheat the oven to 375°F. While the rolls are baking, whisk all the ingredients together for the glaze in a bowl. Bake the rolls for 30-35 minutes. Let cool for 5 minutes and then drizzle with the glaze. Serve while still warm. * The moisture content in flour varies on a daily basis, so start with a little less than 4 cups and see how it goes. On this day I didn’t have to add any additional flour at all. It used exactly 4 cups.